Communication is a universal remedy. It helps bridge relationships, sustains knowledge and also makes chance more predictable. Communication builds a nourishing environment for organizations, brands and individuals to grow. And everyone needs to understand communication better in order to impact their own futures. TRA's reports are a result of a syndicated primary research on Brand Trust and Brand Attractiveness that generates more than 15Mn data points every year and 16,000 unique brands from over 16,000 hours of fieldwork conducted in 16 cities in India. TRA's study partners with Statistical Institute (ISI) for these studies. TRA's Competitive Intelligence report on "Buying Propensity" is an in-depth analysis of your brand based on tried and tested matrices of Brand Trust and Brand Attractiveness developed over years of research with psychologists, sociologists and communication experts. The two matrices stand at the two ends of the Buying Propensity axis, the line along which all transaction decisions are made about the brand. 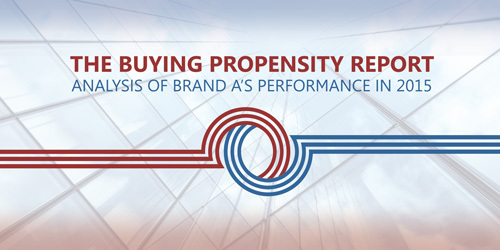 The Buying Propensity report aims to provide a scientific approach to compare your brand to any other brand of your choice (it could be your industry peer or from outside your industry). The report reveals the perceptual traits and attributes of your brand and the competition based on Trust and Attraction. Apart from being a competitive comparison, this report is also an introspective tool to analyse your own brand's perception, and helps you to optimally allocate resources for your brand: be it money, people, geographies or time. This report is useful for brand custodians, brand owners, investors, partners and other stakeholders who want to understand the underlying nuances of the brand. This report will be available in a presentation format designed to give an easy to understand and use user experience. A customised report for a particular industry or sector can be obtained and can be made available to you within 30 days of your request. TRA's Introspective Intervention is a brand specific analysis through the application of Trust Matrix to targeted stakeholders of the brand. Introspective Intervention involves primary research conducted for the brand initiating the study along with its key competition on the basis of the 61-attributes of Brand Trust. Conducted with the primary stakeholders of the brand, this study gives the brand deep insights into responses the brand generates by its action and communication, thereby giving focused interventions. 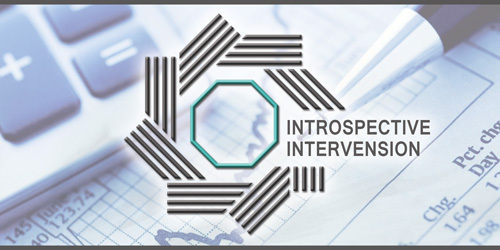 The Introspective Intervention is a premium tool which enables the brand to undertake introspection into the stakeholder's expectations and perception. This analysis is meant to be a CT scan and a deep diagnosis tool for the top management of the brand. Such introspection will help address issues and opportunities with swiftness. Introspective Intervention is, thus, a benchmarking tool that allows the brand to study best practices in the industry and outside, to help overcome 'paradigm blindness'. The tool helps in taking action and also lends to future organizational direction and strategy. Many brands license the Power of Trust Symbol and use it to showcase the trust held in their brand through their marketing communications, internal communications and shareholder communications. Some brands have ordered several of the commemorative plaques to place in points of engagement like their commercial outlets or offices to showcase their achievement. TRA's most recent endeavour is licensed to brands that are perceived as being most attractive. Brands that feature in the report have the exclusive opportunity to display the Symbol of Attraction in their communication, internal, external and in communication to their shareholders. Several brands, to showcase the fact that their brand has been listed among India's Most Attractive have displayed the commemorative plaques and the trophy in their offices. TRA (formerly Trust Research Advisory), a part of the Comniscient Group, is a Brand Intelligence and Data Insights Company dedicated to understand and analyze stakeholder behavior through 2 globally acclaimed, proprietary matrices of Brand Trust and Brand Attractiveness. Over a decade of research has helped us decipher the numerous characteristics that constitute the foundations of a brand. TRA conducts a primary research with consumers and stakeholders to assist brands with their business decisions based on our insights on Consumer Behavior. We provide Competitive Intelligence Reports mined from more than 15 million data-points on brand intangibles of 20,000 brands and also custom-made studies for the same. TRA is also the publisher of 'The Brand Trust Report' and of 'India's Most Attractive Brands'. We have also ventured into mapping Educational Institutes on a much needed factor of trust, based on our Brand Trust Matrix. India's Most Attractive Brands 2015, the second in its series has been recently launched.